I have always been involved in arts and crafts. This has included furniture making, stained glass, ceramics and carpentry. Over the last 10 years my concentration has been on ceramics, although I still continue to make furniture. My current work concentrates on Raku that is a quick gas fired technique, and barrel firing. 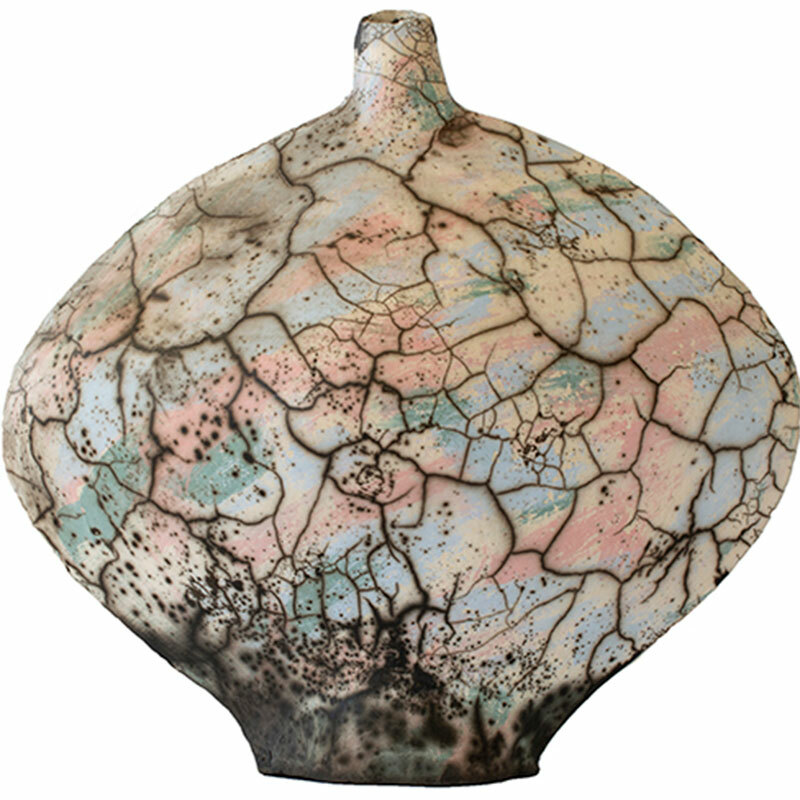 The raku technique can vary either using raku glazes, the Naked Raku technique, or decorating with horsehair and feathers applied to a hot vessel. With barrel firing, the pieces are buried in sawdust or other flammable materials, and then placed in a large barrel. A fire is started on top of the material and left to burn for several hours. The results are random, but are often incredibly beautiful and quite different from what most people expect when viewing ceramics.